How Safe Is Corn When You're Gluten-Free? Plain corn – the kind you eat right off the cob – is always gluten-free. Corn in most other forms is usually gluten-free, too, but not always. When you have celiac disease or non-celiac gluten sensitivity, you need to know when to watch out for corn products. That said, you shouldn't have to avoid corn products unnecessarily. It is possible to be allergic to corn, and some people who have celiac or gluten sensitivity also have issues with corn. If that's the case for you, then you'll need to shop for products that are both gluten-free and corn-free. However, most people who can't have gluten can enjoy corn, as long as they make certain to avoid corn that might be cross-contaminated with gluten. So when is corn safe, and when do you need to worry about it? 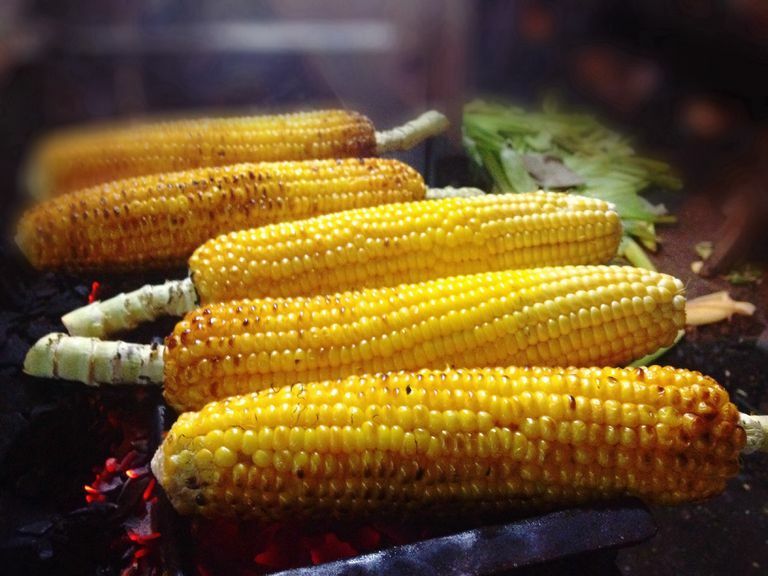 Corn dishes that contain no other ingredients – for example, corn on the cob or sweet corn niblets – shouldn't contain any gluten, as long as the corn was protected from cross-contamination with gluten while it was being processed and prepared. If you're shucking the ears of corn yourself and cooking them in your gluten-free kitchen, you shouldn't have any issues. In addition, most frozen canned products, even creamed-style corn (which most companies make with cornstarch and sugar,) won't contain any gluten ingredients. Unfortunately, you can't necessarily count on all canned or frozen corn to be perfectly safe. Always read the label to check the ingredients. In addition, depending on how sensitive you are to trace gluten, you may want to contact the manufacturer to determine if the corn is processed on equipment or in a factory where there's gluten present. You'd be surprised at how often this is the case. Del Monte considers its canned vegetables, including all its canned corn products, to be gluten-free. Cornmeal should be safe, but again, you'll need to check with the company to determine if it could have been cross-contaminated in processing. Bob's Red Mill is one company that produces cornmeal that's processed in a gluten-free facility. Arrowhead Mills also produces gluten-free cornmeal from both yellow corn and blue corn. Don't assume commercially made corn muffins are gluten-free – they almost certainly are not. Unfortunately, most recipes for "corn" muffins include more wheat flour than cornmeal. The same goes for other commercial products made with cornmeal or other corn-based ingredients: unless it's specifically labeled gluten-free, you'll need to confirm the product's gluten-free status with the manufacturer. Cream corn – the type that comes in a can – may or may not be gluten-free. Unlike homemade cream corn that uses real cream, canned cream corn gets its "cream" from food starch, and it typically includes several other ingredients, including sugar (or another sweetener) and salt. For cream corn, the potential problems include gluten cross-contamination in processing and the source of the food starch – most manufacturers will use cornstarch, but you can't count on that. Again, Del Monte cream corn is considered gluten-free. You also should watch out for some disinformation that periodically makes its way through the gluten-free community. This disinformation, which simply isn't true, claims that everyone or almost everyone with celiac disease or gluten sensitivity also needs to avoid corn. There are some clinicians who believe corn gluten affects the body in ways similar to how the gluten protein in wheat, barley, and rye affects the body. Although most mainstream researchers don't buy into this theory, one study found some evidence in support of this. Corn is a type of grain, just as wheat, barley, and rye are types of grains. However, corn is from a different branch of the grain family than the gluten grains wheat, barley, and rye. Corn contains a substance known as "corn gluten," which sounds scary, but isn't the same gluten that bothers people with celiac or gluten sensitivity. In general, eating corn should not pose a problem for those on a gluten-free diet, but there are several caveats. First is that the preparation matters a great deal. If you buy fresh corn on the cob, you do not need to worry about gluten. Beyond preparing your corn fresh, however, it's important to understand both the additional ingredients which may be added and the risk of cross-contamination in the process of packaging. Reading ingredients is important, but at times you may even need to contact the manufacturer of a corn product directly. Certainly, those who are allergic to corn need to be cautious, but this concern is separate from that related to gluten sensitivity. If you're only beginning to navigate a diet free of gluten, check out our ultimate gluten-free food list for some quick pointers. Molina-Infante, J., and A. Carroccio. Suspected Nonceliac Gluten Sensitivity Confirmed in Few Patients After Gluten Challenge in Double-Blind, Placebo-Controlled Trials. Clinical Gastroenterology and Hepatology. 2017. 15(3):339-348. Is Hemp Safe to Eat When You're Gluten-Free? Can You Follow Jenny Craig To Lose Weight If You're Also Gluten-Free? Which Types of Flour Are Gluten-Free? Can You Safely Enjoy Gin If You're Gluten-Free? Is Kahlua Really Safe on a Gluten-Free Diet? Can You Eat Barley If You're Gluten-Free? Which Corn Flake Cereals Are Gluten-Free?